Deputy Speaker Ananda Kumarasiri today announced the names of 16 members for the parliament watchdog committee (COPE – Committee of Public Enterprises). 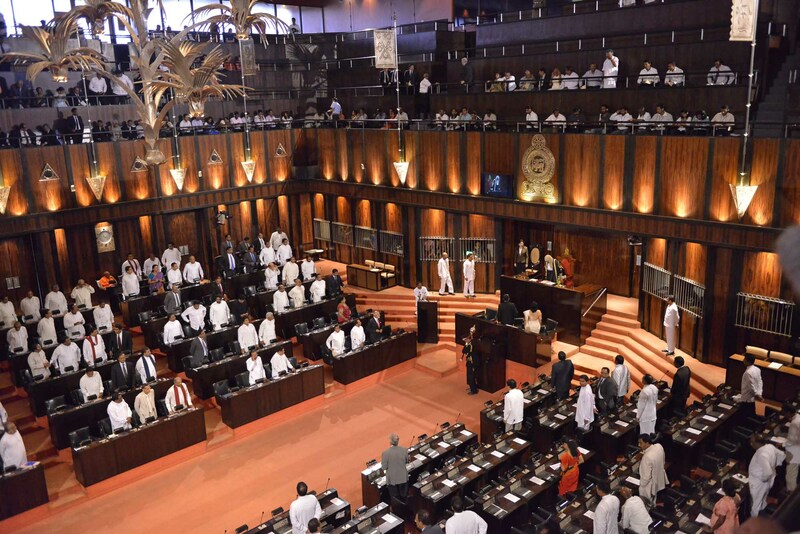 Accordingly, the new members are Rauff Hakim, Sujeewa Senasinghe, Dr Harsha de Silva, Ajith P Perera, Wasantha Aluvihare, Ranjan Ramanayake, Ashok Abeysinghe, Anura Priyadarshana Yapa, Lakshman Seneviratne, Chandrasiri Gajadheera, Mahindananada Aluthgamage, Dayasiri Jayasekera, Ravindra Samaraweera, Mavai Senathiraja, Sunil Handunnetti and Jayantha Samaraweera. The Chairman of the COPE would be elected from one of the committee members on the first sitting day of the committee.